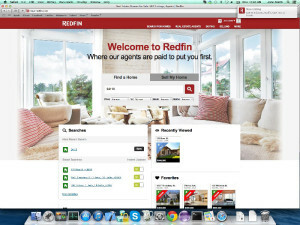 The engineering team at Redfin, a technology-powered real estate brokerage, couldn’t wait to get their hands on the software development kit for OS X Mavericks, the 10th major release of OS X. The team was particularly interested in the new Apple Push Notifications Service for Safari, which enables companies to send notifications to their website users. The Redfin team quickly identified the service as one that would be a benefit for Redfin.com users who are using the site to shop for homes. When the software development kit for Mavericks was released, the team immediately downloaded it and got to work building notifications for Redfin users. When people are shopping for homes in a competitive market, speed is of the essence. To have the best chance of buying their dream home, prospective home buyers need to monitor for new homes that come onto the market, schedule a tour as quickly as possible, and put in an offer before everyone else. The first step in that process – monitoring for new homes on the market – can be time consuming, but the new notifications service on Redfin.com in Safari makes it easier. To start receiving notifications, Redfin users with Safari in OS X Mavericks should go to www.redfin.com, enter in the location they are interested in, and any other home features they are looking for, such as number of bedrooms. Once they’ve completed a search, they should click the red switch labeled “Instant Updates” on the map page. This will turn on notifications, which pop up in the top right corner of their screen. If users click on the notifications, they will be taken to the home’s listing details page, which provides all of the information available about the home. One type of notification that users receive is when a new home hits the market in their search area. For example, if a home shopper is searching within a specific zip code for a specific type of home — say a three bedroom, two bath single family residence — they will get a notification when a home that matches that description goes on sale in that area. This will allow them to check out the home and decide if they would like to schedule a home tour. Instant notifications give home shoppers an edge on the competition, who may not be monitoring for new homes as closely. Users will also receive notifications when a home is sold, or a sale is pending on it, so they know that they should cross those homes off their tour list. Another type of notification is when the price of a home within a user’s saved search is reduced by the seller. This allows them to reevaluate if they are interested in the home. For example, if a person is looking for a home within a certain price range, they might have passed on a home that was too expensive for their budget. After being notified that the home reduced in price, they may decide to take another look and schedule a home tour, giving them another edge on the competition. A third type of notification is when a “Tour Insight” is left on the home. Tour Insights, which are only available on Redfin.com, are short notes about a home that a Redfin real estate agent publishes after they’ve seen it on tour. Redfin agents will provide details that are otherwise unavailable in the description of the home online. For example, they’ll remark if the bathroom needs updating, if the kitchen has been remodeled, or if the home is on a busy street. These Tour Insights help Redfin.com users make informed decisions about whether or not they want to schedule a tour of the home. Redfin.com users can create as many saved searches as they’d like, and turn on notifications for each. They can edit which saved searches they’d like to receive notifications for by visiting their profile page on Redfin.com. Notifications will appear even when Redfin users are away from their computer or using other programs. When the user returns, a summary of notifications will show what they missed, so they can stay completely up to date. For additional details on how to set up these notifications, visit the Redfin Blog at http://blog.redfin.com. The new push notifications for Safari users are just one more way technology is helping to make the home buying and selling process more efficient and a better experience for all. At Redfin, engineers work hand in hand with real estate agents to develop cutting-edge technology that will speed up time-intensive transactions, put information in the hands of consumers so they can make informed choices, and offer better client service. For most people, purchasing a home is the biggest financial decision of their lives, and the process is wrought with anxiety and uncertainty. Technology, combined with real estate agent expertise, can transform that process. 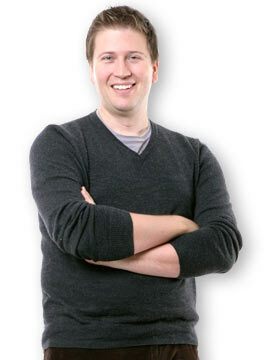 Sasha is the Chief Technology Officer of Redfin, a technology powered real estate brokerage in the United States.